Many years ago, I started making soap because I wanted to design, and it was the only thing I could think of to fulfill my passion for creating and designing. The colors and pictures on the labels of the soaps were so much fun and started catching on that we started selling our products at local Festivals. Having three boys in school, a full-time job, social activities, birthdays to remember, etc., I found myself in need of a planner and thus was born The1407 Planners. After attending several conferences in multiple States and networking with Planners in the immediate area, it was becoming evident that people needed guidance on how to plan, what to plan, and how best planning would serve their personal lives. Thus, was born Tula XII. 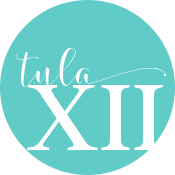 Tula XII invites you to gather your friends, family, and co-workers together and have a Brand Ambassador guide everyone to a perfect Planning “plan”. And maybe eventually becoming a Brand Ambassador yourself! We wanted to “share the wealth” and have more people actively involved!